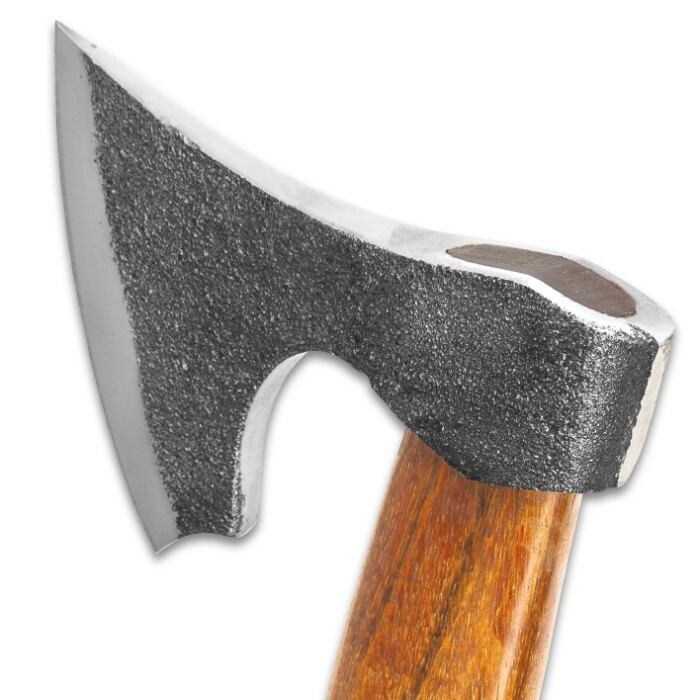 Those Vikings really were the experts when it came to making axes! They were efficient and effective whether it came to daily tasks or raiding villages! 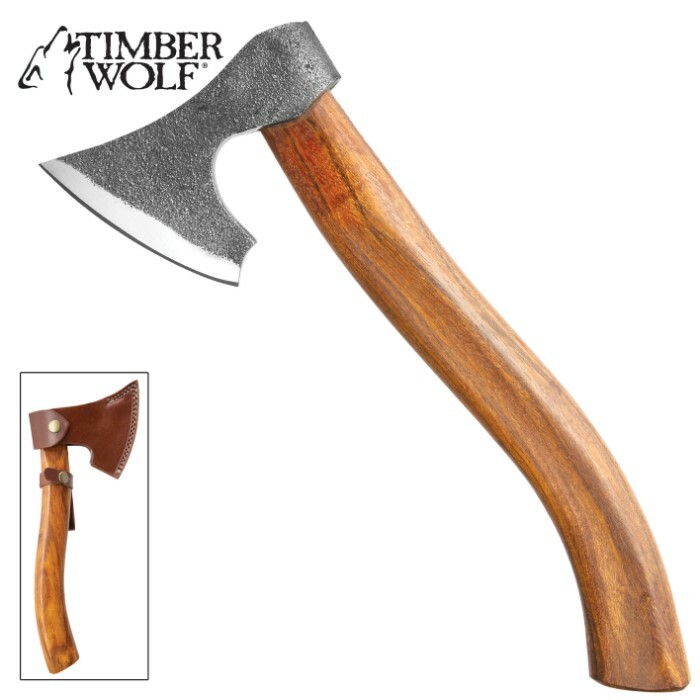 Our Timberwolf Viking Axe draws its inspiration and design from these capable tools and can be used for a variety of jobs around the campsite or homestead. 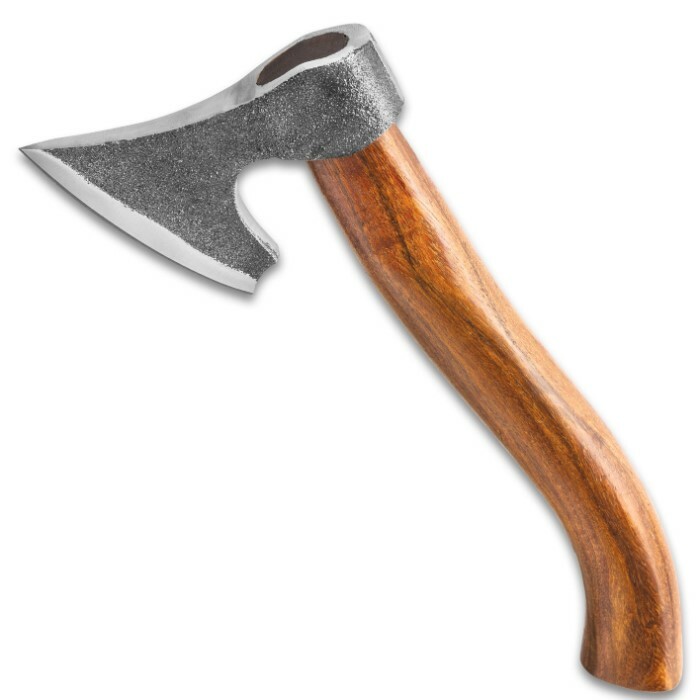 The 4 1/2” wide, 1/2” to 1” thick, axe head is rough-hewn of high carbon steel and it has a 3 3/4” satin finished blade edge. 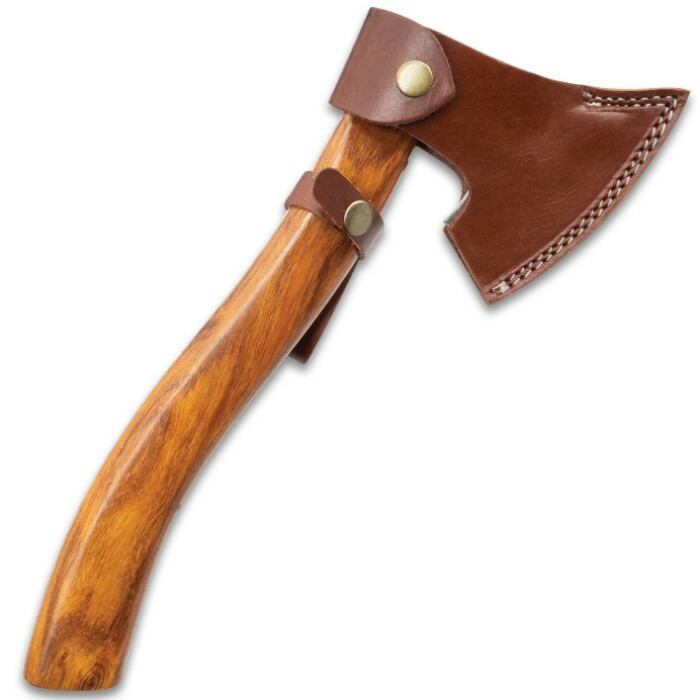 The head is firmly anchored on a wooden handle that is curved to perfectly fit the hand, giving you exceptional leverage when using. 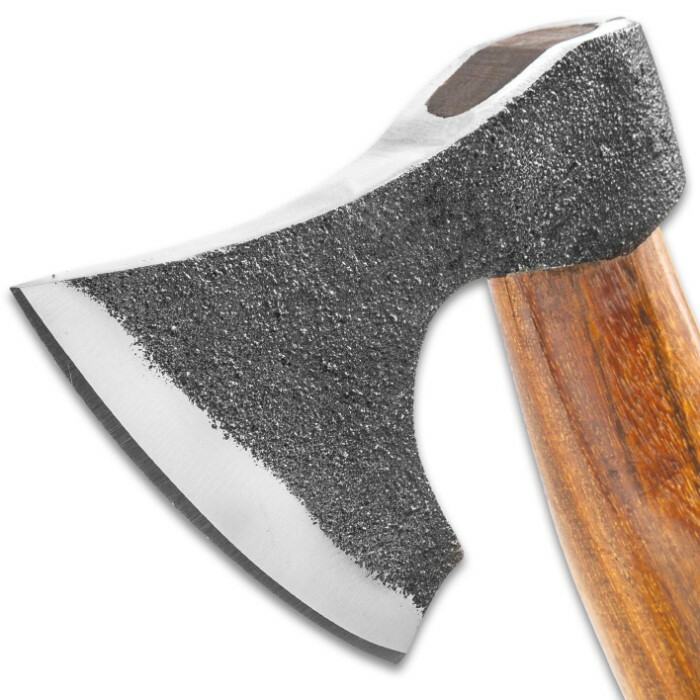 The Viking inspired axe is 12 1/4” in overall length, making it compact enough to be easily carried or stored in gear.